In 1912 a candy roller for the Williams Neilson candy company submitted his vision of a peanut butter filled chocolate log to an internal chocolate bar contest. Harold Orwin would go on to win the contest and its $5 grand prize(worth about $120 today!) but he would see his dream become reality. While the shape would change, the Crispy Crunch became a staple on candy bar shelves for the next century. Our friends to the south had a brief time to experience its goodness in the 1990's before the american distribution company Pro Set went bankrupt. 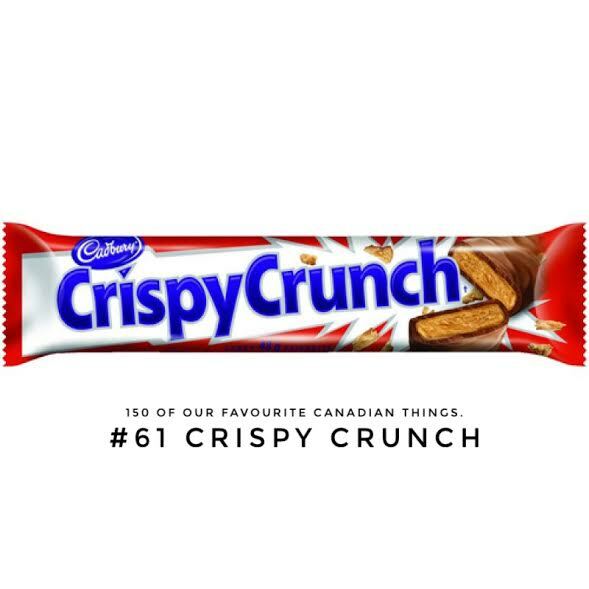 The fine people over at Cadbury have taken over where Neilson's left off, making a few minor changes, however the taste has stood the test of time.Next time you are in a Canadian corner store, pick up the bar chalked full of Canadian goodness and history, and don't forget, the only thing better than your Crispy Crunch, is someone else's.